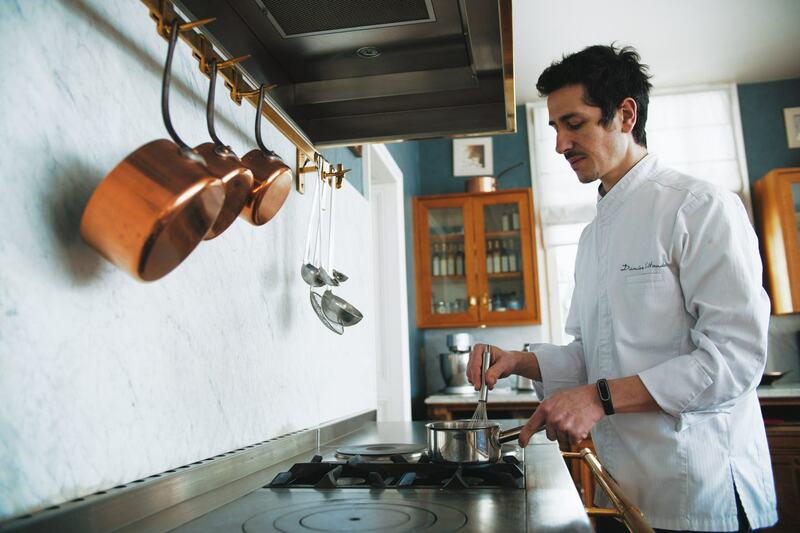 Damien Litaudon, Chef at the House of Palmer & Co, proposes a very fine gastronomic dining experience. His cuisine is sophisticated, precise and in tune with the changing seasons, modern, creative and oriented towards the promotion and protection of his regional heritage. 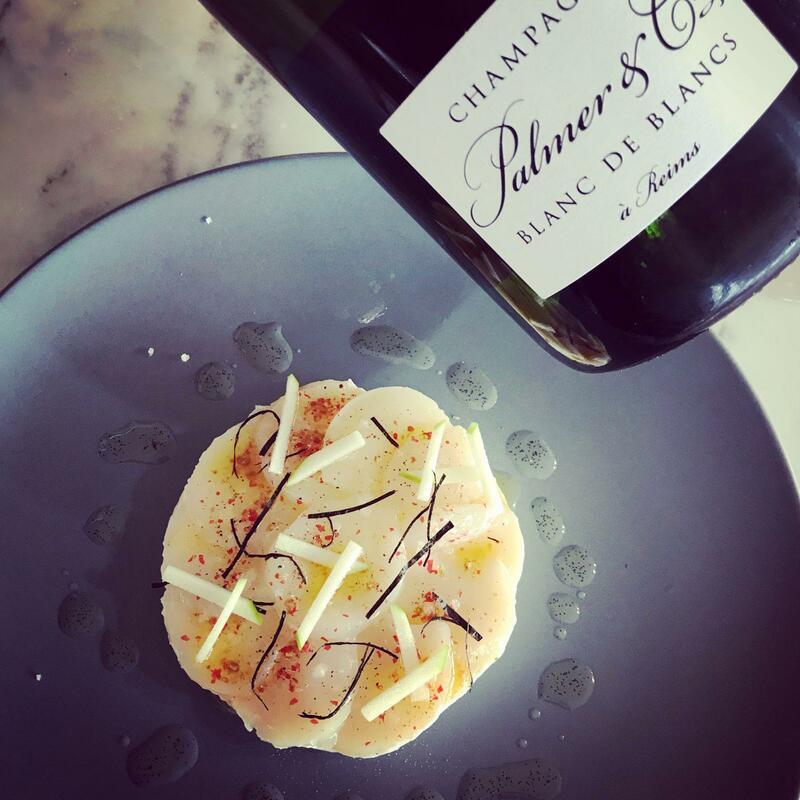 Trained by prestigious chefs such as Philippe Da Silva or Judith Baumann, Damien Litaudon works in close collaboration with Xavier Berdin, Cellar Master of Champagne Palmer & Co to decide on just the right wines to marry with his dishes in subtle accords. Treat yourself to an unforgettable gastronomic and oenological experience at Palmer & Co’s Domaine du Chalet! 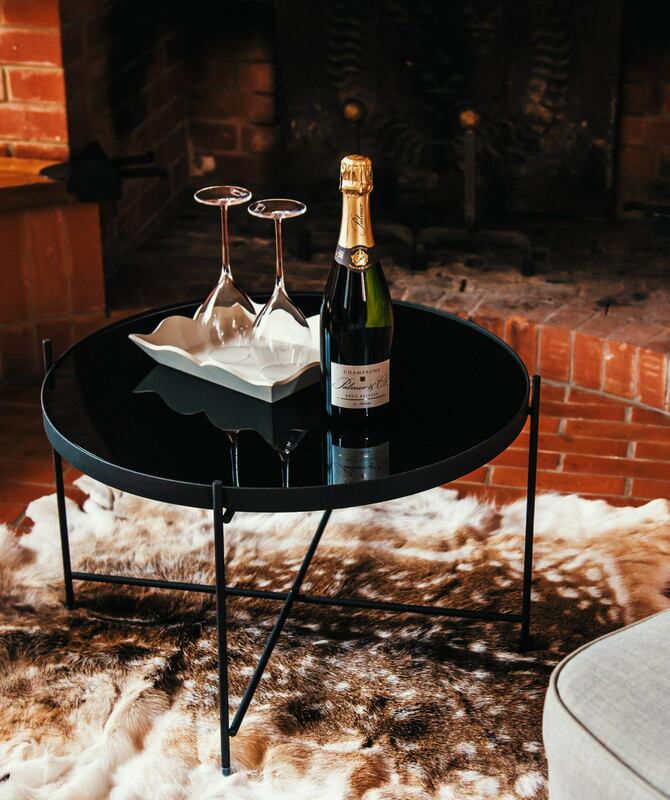 The Maison d’Hôtes was created to enable visitors to enjoy a Palmer & Co experience, revealing to them all of the facets of this exceptional wine and the subtlety and elegance of the different champagnes of the House. Whether sharing a glass in the shade of this plant-filled paradise or enjoying the exquisite pairings at the dinner table, with dishes specially prepared by our chef, guests can immerse themselves in the intimate and unforgettable world of Palmer & Co.